I love corduroy. 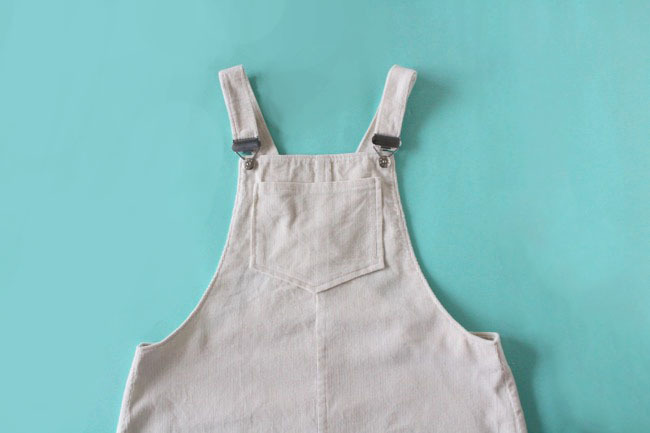 And judging by the popularity of our needlecord Cleo dungaree dress kits, so do lots of people! (They’re back in stock, by the way!) 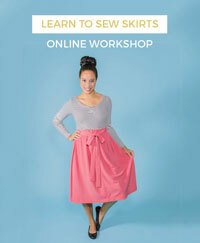 Today I thought I’d share a few tips on sewing with corduroy to get a great result. Corduroy - which is made of cotton, sometimes blended with polyester - has visible ribs or “wales” running vertically down its lengthwise grain. The width of the ribs can vary, from jumbo cord which has wide wales - if you see it labelled as “3 wale”, this means it has 3 ribs per inch - to finer needlecord or pincord, which is more like 16 wales per inch). 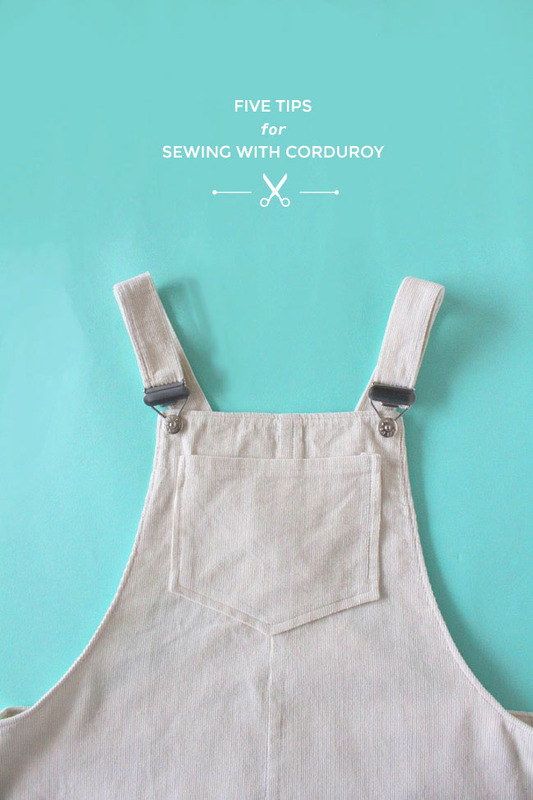 As well as dungaree dresses, corduroy is great for making skirts, trousers (corduroy flares, anyone?) and jackets. 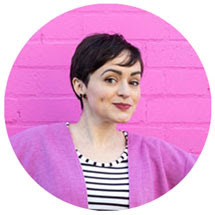 Finer needlecord is also lovely for shirts and dresses (take a look at Rosa’s needlecord Rosa dress!). 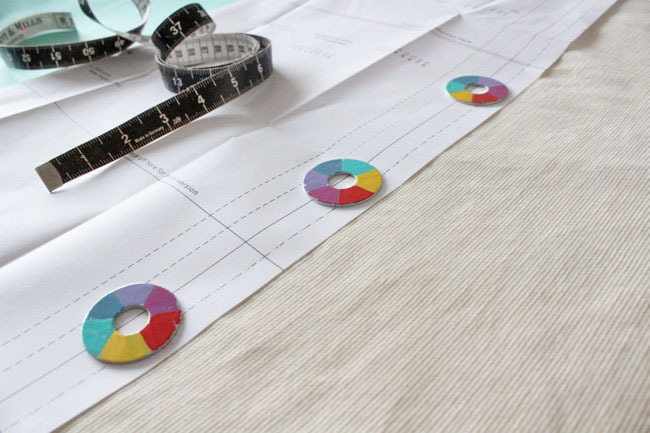 So what do you need to know when cutting and sewing with corduroy? Rub your hand along corduroy’s ribs – the pile will feel smooth one way, slightly rough the other way (a bit like stroking a cat). It will also look slightly different from each direction. So decide which way you want the pile to lie before cutting out the pattern, and then cut all the pieces pointing in the same direction. Of course, it’s up to you if you prefer the pile running up or down. Personally I like it running down as that’s the way I’d stroke it! Take extra care when cutting out corduroy to keep it on grain. More specifically, make sure the grainline arrows on the pattern are exactly parallel to the fabric wales (ribs). 3) … and keep the ribs straight when sewing! While the visibility of the wales can be helpful for cutting the fabric straight, if you sew the fabric slightly off-grain on a vertical seam, it can look glaringly obvious! Take a look at the two straps in the photo above. 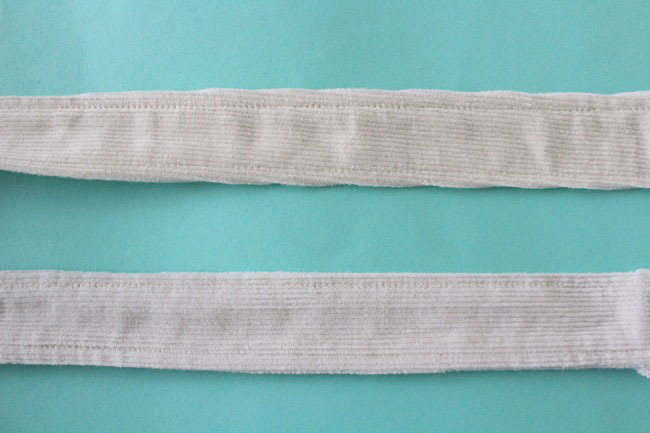 The top one was sewn slightly off-grain – you can see that the strap is twisted. The bottom one was sewn dead-straight and looks a lot neater. Stitching exactly parallel to the ribs is easier said than done when the fabric is wrong side up and you can’t see them as you’re sewing. What I do on pieces with vertical seams like the Cleo straps is press them wrong sides together first so I can line up the fold with the wales, before refolding them right sides together along the pressed line and pressing again. 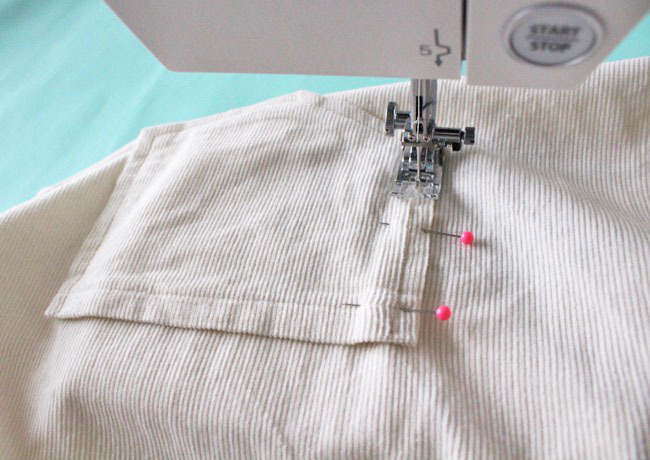 When you’re topstitching a vertical seam, such as on the sides of the Cleo pockets, you can sew with the right side of the fabric facing up and keep the needle lined up with a channel between the ribs. 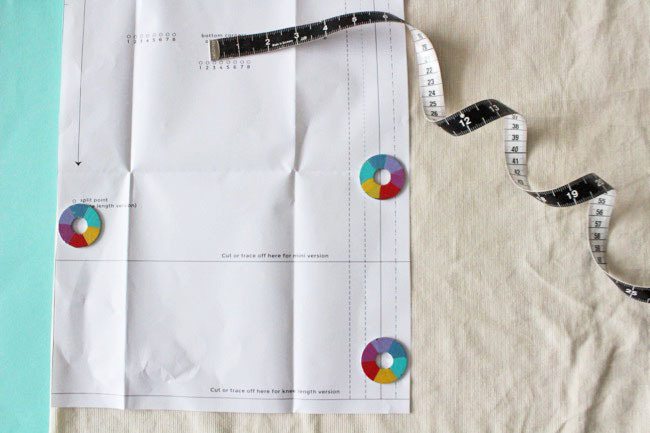 Keep your eye on this channel as you're sewing to keep it straight. The pile on corduroy can squish up while you’re sewing and pressing it. To avoid this, lower the presser foot pressure (if your sewing machine lets you), and lower the thread tension slightly too. If you’re using a wider wale corduroy, such as jumbo cord, you can also lengthen the stitches to about 3mm. Try to avoid pressing the fabric too much, as the iron can crush the ribs. Try using a square of the same fabric as a pressing cloth – place it right sides together with the garment, so the wales will cushion each other and soften the impact of the iron. 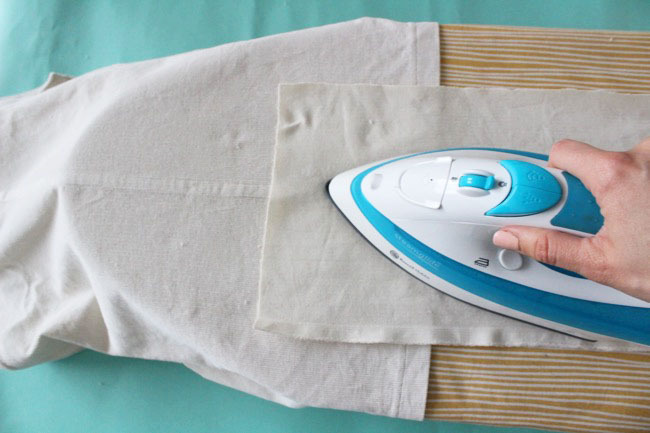 Use a light touch, or just use steam where you can without touching the face of the iron to the fabric. You can also use the tip of the iron to press just the bits you need to, such as when pressing seam allowances open. Try not to press the edges of the seam allowances against the garment as they can leave an impression on the right side of the fabric. 5) Be prepared to make a mess! 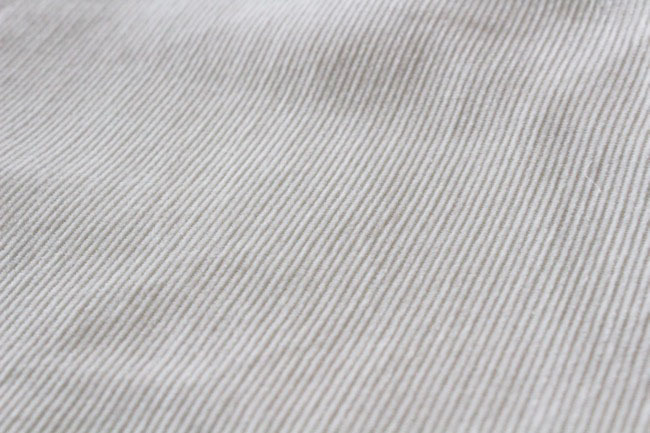 Corduroy is one of those fabrics that tends to shed itself all over the place. We’re constantly finding little bits of aubergine threads in the TATB studio from our Cleo kits cutting sessions! Keep a lint roller handy when cutting and sewing corduroy, so you can quickly clean yourself up afterwards. 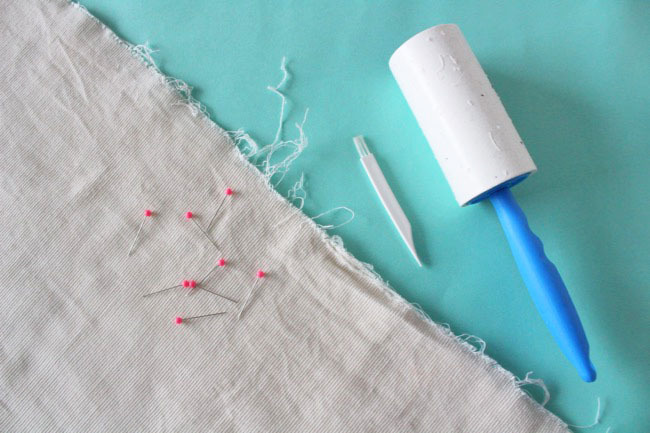 A lint roller is also handy when wearing your finished outfit, as fluff and threads tend to stick to it! Finish the seam allowances with zigzag stitch or an overlocker to stop them fraying, trimming off any loose threads first if you need to. And give your sewing machine a good clean inside and out after sewing! 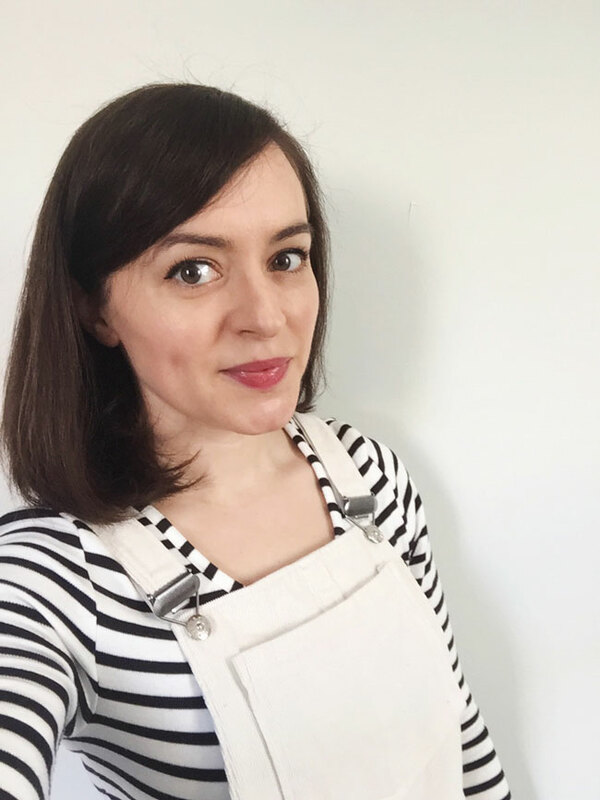 So those are my top tips for sewing with corduroy - and here's one of my finished Cleo dungaree dresses in our vanilla needlecord. Have you made anything in cord? Do you have any other tips to share? Feel free to leave a comment below!